What is an Explorer Field Guide ? An Explorer Field Guide is your invaluable companion in discovering more about the world around you. It will help you identify and learn more about the plants, birds, buildings, animals, art, etc. that you meet on your adventures. The first in our series of Explorer Field Guides is our comprehensive guide to 111 trees common throughout the United Kingdom. 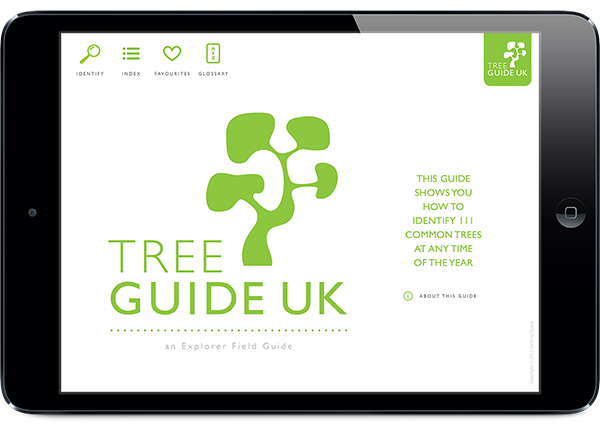 With its intuitive and visual step-by-step aproach, you'll have your tree identified in no time. You'll also find it packed with interesting info on each tree, and illustrated with over 2,000 high-res photos.